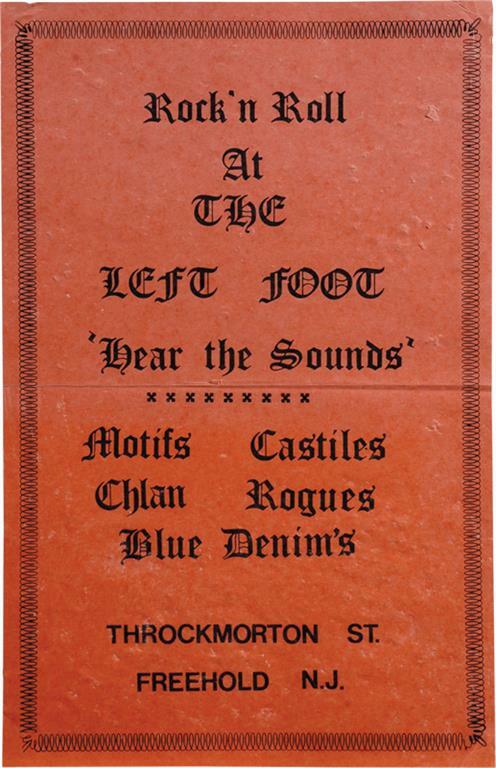 Bruce covered the song with his early band ' the Castiles' .This was grand opening night at The Left Foot, an "over 13, under 18" club located in the recreation centre of St Peter's Episcopal Church at 37 Throckmorton Street. The club was opened by Reverend George Errickson and Reverend Fred Coleman, along with two High School students, Harold Breiner and William Cottrell. Patrons sat on cushions. Sadly The Left Foot had a short existence (seven months). This was the first of only two live appearances by The Castiles at the club - fortunately both appearances were audience recorded by Left Foot Manager (and St Peter’s priest) Fred Coleman on a good quality reel-to reel device. The-mentioned thirteen-song setlist represents The Castiles’ complete song performance in the correct sequence and they are all covers of other artists’ material. Although Springsteen may have started out in mid-1965 singing mostly background vocals, it is clear that by this point Bruce is the band’s focal point. Bruce handles the lead vocals on all songs except 'Eleanor Rigby', 'See My Friends' and The Blues Project’s haunting 'Steve’s Song' (all handled by George Theiss). Tex Vinyard, The Castiles’ manager, is heard introducing the band at the start of the second set. Interestingly the group uses The Yardbirds' instrumental 'Jeff’s Boogie' twice, as both the first set closer and show closer. A recording of Wille Dixon's "You Can't Judge A Book By The Cover" will be officially released on September 23, 2016 on Chapter & Verse, the companion album to Springsteen's autobiography Born To Run. One show, with The Castiles the sole act on the bill. On account of school vacation this was an unusual Wednesday night booking at the club. No confirmed setlist known from this particular show, but these four songs are known to have been performed by The Castiles at a Le Teendezvous gig some time in late 1967. 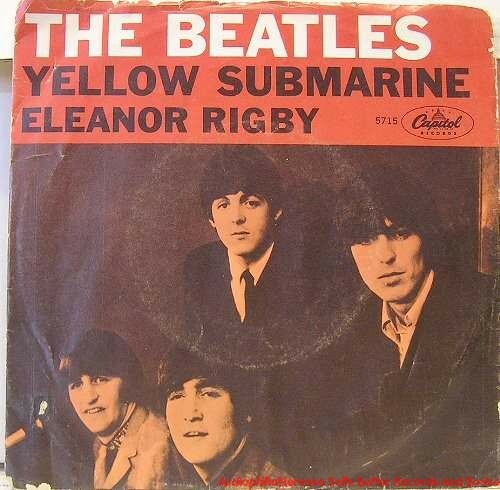 The four known songs includes a version of "Eleanor Rigby", Blues Magoos' "(We Ain't Got) Nothin' Yet " and The Doors' "Break On Through (To The Other Side)" and "The End". "I was sitting at the piano when I thought of it. The first few bars just came to me, and I got this name in my head ... "Daisy Hawkins picks up the rice in the church". I don't know why. I couldn't think of much more so I put it away for a day. Then the name "Father McCartney" came to me, and all the lonely people. But I thought that people would think it was supposed to be about my Dad sitting knitting his socks. Dad's a happy lad. So I went through the telephone book and I got the name "McKenzie".